In my last post on regulation I set out some general ideas that I think should guide and constrain the regulation of e-cigarettes. From my presentation at Global Forum on Nicotine in Warsaw, here’s a suggested four pillars for regulation of e-cigarettes and other low risk products. Rationale: Primarily to increase consumer confidence and to provide appropriate protection of the health and safety of users. I believe there are initially increasing returns to regulation, as some basic standards clear out the poor products and cowboys and do require simple thing like child-proof e-liquid bottles. 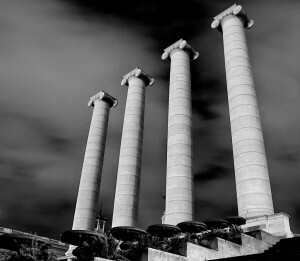 But the diminishing returns set in as more effort and cost goes into eradicating minor or theoretical risks, and then negative returns as excessive risk aversion makes for unappealing products takes, products of the market because the costs of assurance are too high. Rationale: To encourage the greatest number of smokers to switch – retaining focus on the dominant health effect: the health and welfare improvement to smokers who switch, rather than marginal reductions in risk to vapers. 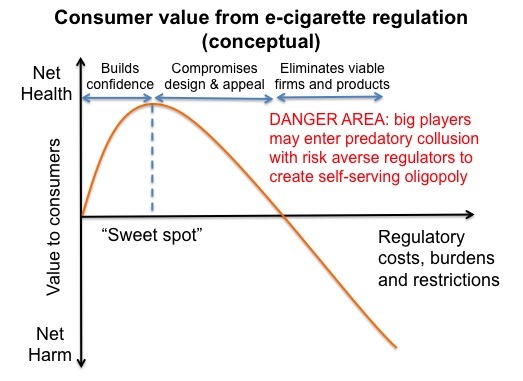 Note that this is not an easy area for regulators, for whom ‘pleasure’ or ‘recreational nicotine use’ isn’t an easy concept to absorb, and they are likely to instinctively undervalue this, the most important characteristic of reduced risk products – hence the need to identify it as a distinct principle. The perfectly safe product that no-one wants is of no public health value. Rationale: So that these products become better alternatives to smoking over time and more smokers find products that suit them. A regulatory regime should clear out cowboys, but not force a contraction to only very large companies offering a few commoditised products. Nor should the effort to regulate e-cigarettes somehow lead to the exclusion of ‘heat not burn’ tobacco products because they do not meet the same standards. Recent experience suggest that users move on to more personalised options – tanks and mods – and like experimentation. 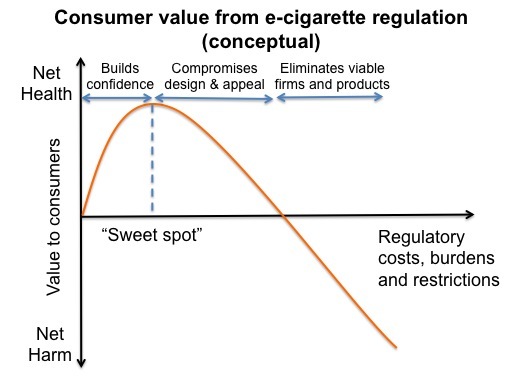 Rationale: Avoiding practices or products that would tend to increase smoking, but recognising that regulators control product specifications and business practices, not the behaviour of users (see discussion on regulating population effects). Note that vague concepts like ‘renormalising smoking’ or ‘undermining tobacco control’ are only relevant if they mean smoking increases, compared to what would happen otherwise. Because the individual risk is so much lower than smoking, the starting point should be to permissive by default and monitor for adverse developments and only control these products on the basis of population effects when there is evidence supporting a harmful population effect. Heat not burn tobacco products are part of the ‘harm reduction armoury’. They use actual tobacco rather than pure nicotine extracted from tobacco. The tobacco is heated instead of burnt, the nicotine is vaporised and there are no products of combustion. However, the leaf is not ‘pure’ and may have contaminants, organic or toxic gases that arising from heating. Nevertheless such products are likely to be at least 80% less hazardous than smoking. The argument for this type of product is that it may reach a different segment of smokers and provide them with an order of magnitude reduction in risk if they take the products up – for example, those looking for an experience closer to smoking. The key to tobacco harm reduction is not to have the safest, most highly regulated products – these are of little value if hardly anyone uses them because they are not very appealing. The key is to have many options and diverse ‘value propositions’ for smokers that cause as many as possible to switch. 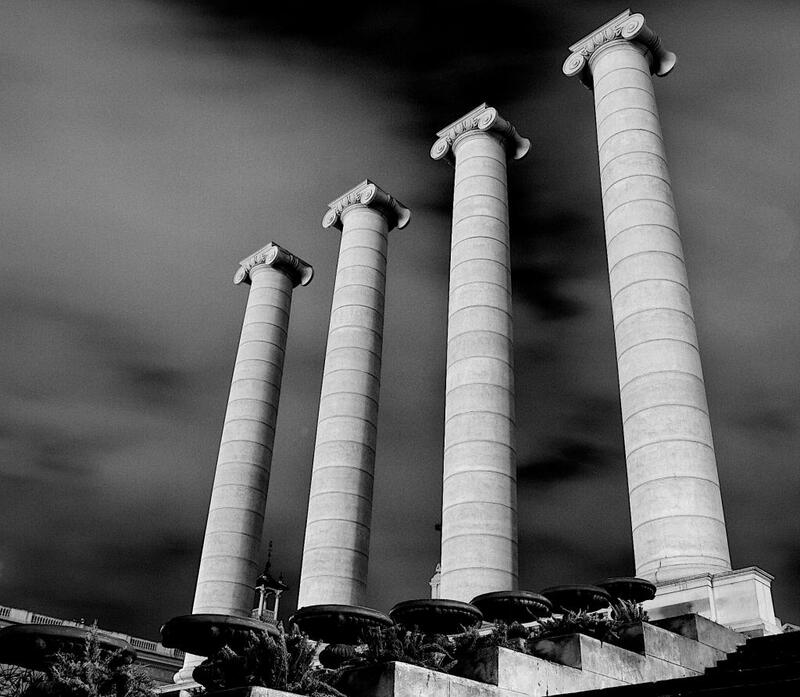 Set the regulatory standards to tight and you exclude many potentially valuable options. It’s not obvious to me that these heat-not-burn products will be successful – but that is a question that should be solved in the market place, not by asymmetrically risk averse regulators. My point was that setting standard too tight that they eliminate these products comes with risks (of more smoking). But then if you allow them, but disallow e-cigs that have lower toxicity but fall foul of ‘tough’ standards for ecigs, you end up with an anomaly. It will take more than a few positive journalistic articles. It will require the support of most honest journalists – as well as a far higher percentage of health workers becoming far better educated. I seriously doubt if the medical organizations themselves will come out in support – they get too much funding from the tobacco and drug industries. It will also require a change in mind set from stopping smoking to tobacco harm reduction. Vaping is most certainly not completely harmless, nor should there be any expectation that it should be. Nothing that we ingest or touch, such as caffeine, peanuts, alcohol, fatty meats or sugar are totally risk free. Nor are any activities in which we engage – even lying in bed has its risks. I think this is excellent stuff. I only hope that it gets through to those who will control the regulatory process. I have my doubts. I still see so many articles and interviews in which the risks of e-cigs are emphasised and the benefits hardly touched upon or even completely denied. I came across one such article recently in my local free newspaper. When I challenged the journalist about what she had written, she insisted that she had done her research and that “all” of the oncologists to whom she had spoken, without exception, had told her that the jury was still out on the safety of e-cigs. Seems she was completely unaware of any of the scientific studies (Burstyn et al) that had concluded that using e-cigs is much safer than smoking. After quite a lengthy exchange of emails, she has said that she will read up more on the subject. I pointed her towards this site. Well, you never know…..maybe she will visit it and maybe she will actually learn something. If a few more journalists were to become educated on the subject, and to run some positive stories, it might really help to start turning the tide in favour of e-cigs. One can dream, anyway…………..
BTW Guess what the principle ingredient in the pharmaceutical product, Nicorertte QuickMist is? Oh yeah – knew that. But who said the anti-e-cig campaign was subject to logic!?!!!!!! Whilst I don’t really think that TC and regulators are driven by reason,logic and evidence as regards THR,it might be useful to examine the effect of regulation on the licensed NCP market.These are the official NICE THR products – a handful of very safe and very ineffective products whose continuing use is driven mainly by ‘government’ policy. The impact assessment from the FDA at least recognised the effect on the market of their proposed regulation,reducing the current thousands of products to less than one hundred.What was not assessed was the impact this would have on current users and the potential for more users. As TC control the evidence,the analysis and the regulators it is difficult to see how to avoid the inevitable consequences.Even Robert West seemed to suggest that a suitable ‘light-touch’ regulatory product cost of £50,000 was reasonable without attempting an impact assessment. Strong and clear recommendations, Clive. Since regulations are inevitable, it will become increasingly important to focus on the objectives of and subsequent mechanisms used by regulation. Regulations are NOT inevitable, but that’s clearly what those who get paid to lobby for unwarranted and counterproductive regulations (including the FDA’s proposed deeming regulation that would ban >99% of all e-cigs) want the public to believe. Another factor in the regulation/diminishing returns mix, is the fact that over regulation costs. For example – Trying to police personal importing of say 24mg e-liquid or of unapproved refillable vaporizers, will be very expensive(and infective). The enforcement cost should be a significant concern. I would also add the too much regulation causes consumer and suppliers to ‘defect’ from the regime and enter a black or grey market. Clive personally I buy virtually all my e-gear online and much of it from OS. The idea that any government could (let alone should) divert resources from serious policing issues to searching millions of small parcels, in order to prevent the importing of ‘ilegal 24mg’ e-liquid, absurd. Regarding the survey reported by New scientist, two things strike me as a bit odd, first one is- the skew towards young people, doesn’t seem quite right and the second is because of the ‘web’ I really wonder about how anybody could really know how much ‘downloading’ of e-cigs is going on? I think governments real agenda is protection of tobacco tax revenue, not public health. So if it costs a little extra in policing to eliminate illegal e-cig/e-liquid imports they will probably consider it money well spent. Nice! The only thing I’d like to see is, where on your curve you think the FDA deeming regulations and TPD would sit. Or perhaps the curve doesn’t go far enough to the right..